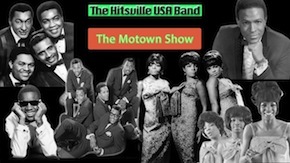 The Temptations, Marvin Gaye, Stevie Wonder and Many More! 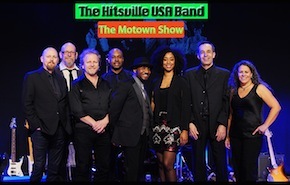 The Hitsville USA Band is a hard driving revue that truly captures the sharp wardrobe, polished style and the soulful sounds of the Motown artists who transformed rhythm and blues music. The show features stellar vocalists Mike Henry and Krystle Dos Santos backed up by a pumping band. Mike Henry began is professional career in Las Vegas in the 80’s and has performed at numerous major resorts and casinos including Bally’s Park Place (Atlantic City), Trump Castle (Reno/Tahoe) and the MGM Grand (Vegas). He has toured internationally aboard both the Viking and Color Cruise Lines in addition to performances in Taiwan, Hong Kong, Bangkok and Dubai. Mike is leader of a variety of other projects including his Ray Charles/James Brown tribute show and a variety of R&B, Funk and Reggae bands including Mostly Marley.